​Booksellers can order, as usual, from Gardners or direct from Triarchy. Napier Collyns was at the heart of the small group of planners, economists and forecasters at Shell (which included Pierre Wack, Ted Newland and, later, Peter Schwartz) who invented and pioneered scenario planning. 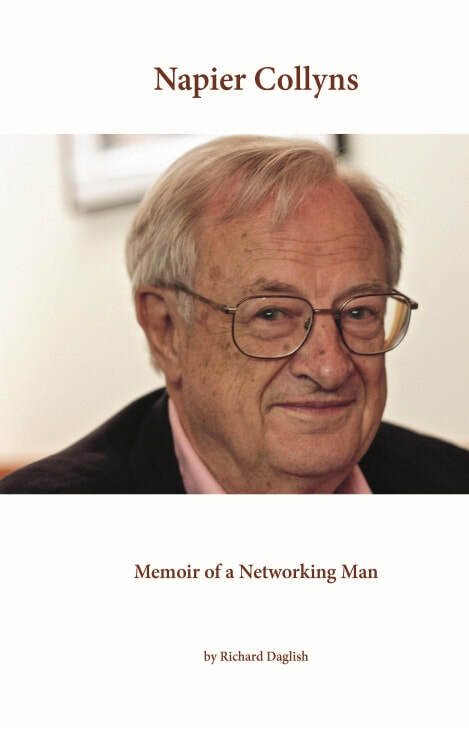 Later he was part of the small group who founded the influential Global Business Network (GBN) in California. He also worked for much of his later professional life in and out of the limelight helping to get a surprising number of highly influential books written and published on both sides of the Atlantic. He was also a founder member of International Futures Forum and the Chair of IFF-US. “This memoir of the life of Napier Collyns is the biography of the emergence of a new way of thinking about the future, an idea which has had a profound effect on the way organisations understand themselves as engines of continuous adaptation, and the way in which leadership approaches the management of risk and resilience over the long term. Napier in his various incarnations at Shell, subsequently at GBN, and more broadly still has been the great witness and facilitator of every nuance of this evolution. This memoir will be of great interest to anyone who has ever met or worked with Napier Collyns as well as anyone interested in the emergence of Scenario Planning at Shell and how organisations and individuals, like Napier himself, have absorbed its lessons in order to navigate turbulent times. All of the profits from the sale of this book via IFF will be donated to the Napier Collyns Fellowship fund administered by International Futures Forum offering young people the opportunity to contribute to meaningful and hopeful work of relevance to the future – just as Napier has done over the course of his life.